In May of last year I planted a Beech Hedge, (Hornbeam to be precise) against the fence at the front of Blackbirds. After 12 months of growth I have to say I am a little disappointed how long it’s taken these plants to get going. I used bare rooted plants, incorporated lots of compost in the planting hole and have been diligent with my watering. I have read Beech and Hornbeam in particular is slow to grow away so I’m still hopeful we will have a half decent hedge in the next 5 – 10 years. Unfortunately about 30% of the original plants have failed which I guess could be down to the extreme winter we had and the lack of any serious rainfall in Hampshire this year. Anyway I’ve decided to plant a few Laurel plants in-between to try and fill the hedge out in the short term. My neighbors all grow them very successfully, which must be down to the abundance of lime in our soil. I grew them from cuttings which my neighbor very kindly let me have last summer. They grew really well and only 10% failed, so I’m going to have another go at growing a few more this summer. Now I’m off to do a rain dance in a bid to help my vegetables through this terrible drought we’re experiencing in Hampshire. 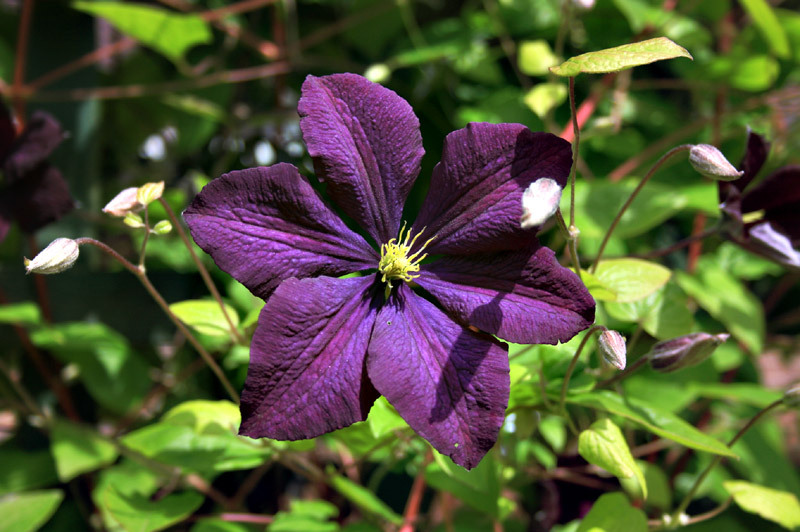 I’ve always been a sucker for Clematis, or Clematis Vine as they are sometimes known, and it’s right about now I like to plant mine. What I love about them is they are so reliable, and providing you prune them effectively, and feed them from time to time, they will reward you handsomely with all manner of beautiful flowers. 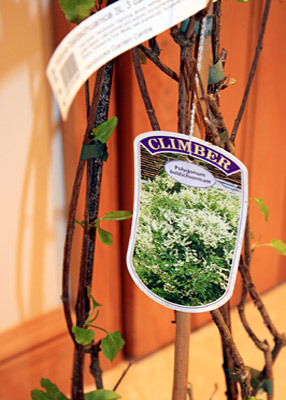 I’ve had a fair amount of success in the past with most of the clematis plant family, Montana, Evergreen Armandii and the larger more familiar varieties. 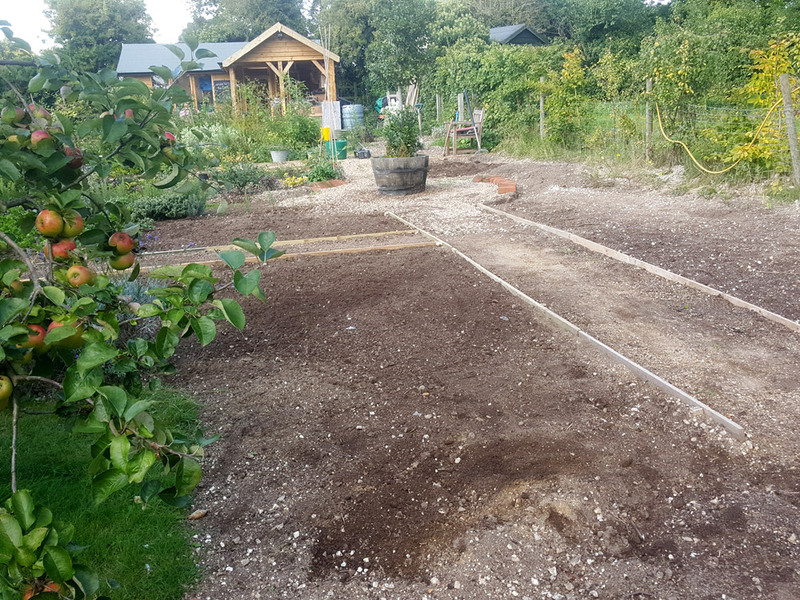 I like to prepare a large deep hole about 3 times the size of the root ball, and prepare the ground with well rotted compost and a sprinkling of Fish Blood and Bone organic fertiliser. The other important thing I’ve learned about growing Clematis successfully is to keep the roots cool and never let them dry out. I tend to plant about 4 – 6 inches deeper than the top of the pot as it helps to stop the plant rocking in the wind and damaging the delicate stems. It also encourages the plant to put out a strong root system. 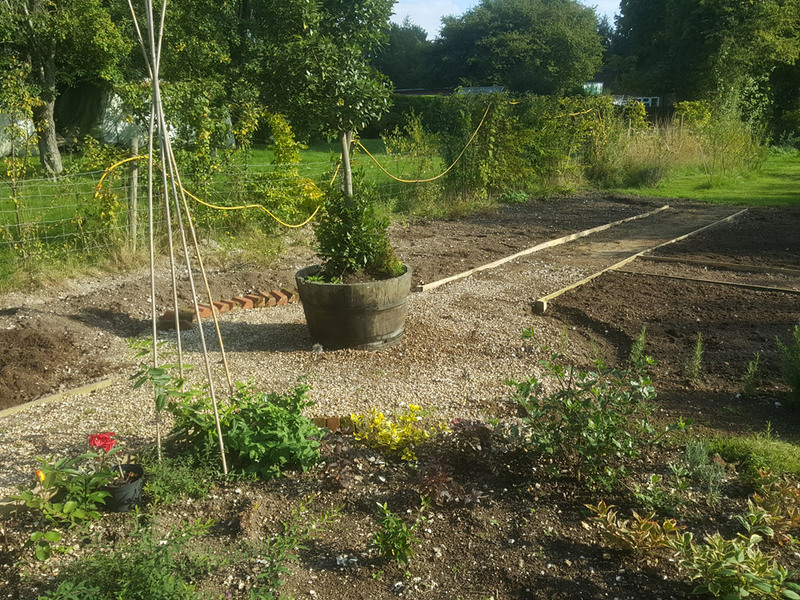 Finally I cover the surface of the soil with pea shingle and a couple of large stones to keep direct sunlight off the soil. I don’t get too technical when it comes to pruning my clematis. 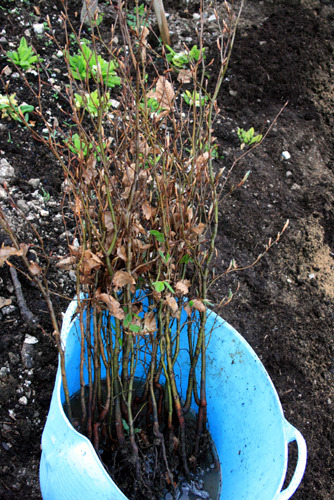 I give the plant a general tidy up in the Spring, removing dead or diseased branches, and then cut each stem back to approx 2 feet from the base. I give each plant a handful of bone meal and fork it into the surface, before giving the plant a good water. I prefer to use rainwater if I can as the water in Hampshire can be a bit hard due to the amount of chalk in the landscape. To cover the oil tank I’ve gone for a Russian vine, otherwise known as ‘Mile a Minute’, on account of how fast it can spread. 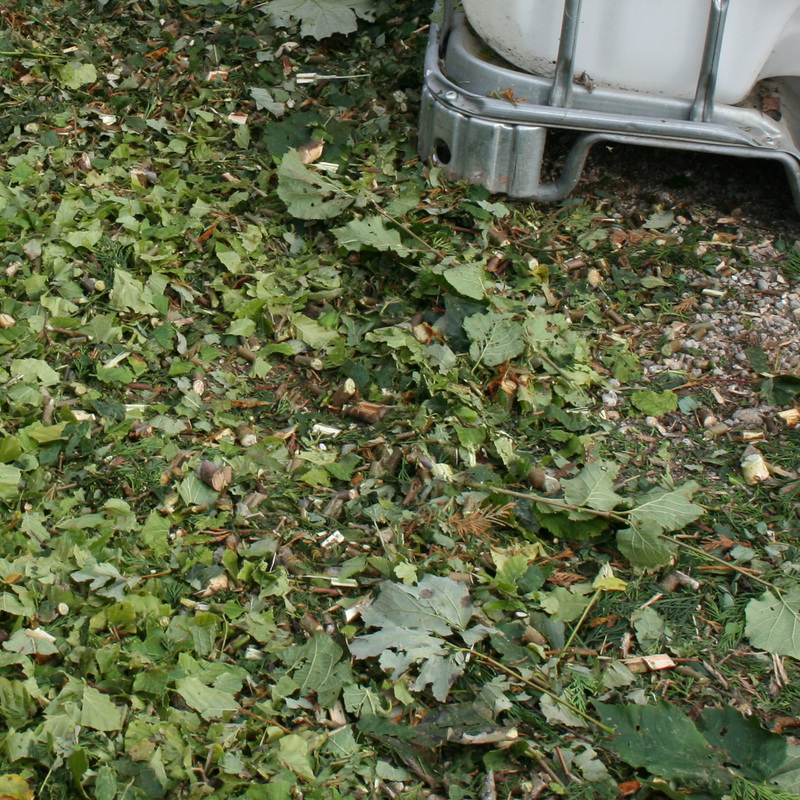 I’ve grown them in the past and they really do the trick…if you want to cover something in a hurry that is. They don’t mind being hacked back either so if (when) it gets out of hand I’ll tame it with my trusty shears! early summer. The first, ‘Pink Perfection’, will grow to a spread of 8m x 8m and has the most gorgeous pink scented flowers. 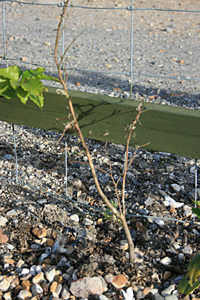 The second is ‘Sunrise’, which is not so fast growing and reaches a maximum size of 5m x 5m. They’re both going on the trellis between Blackbirds and my neighbors property, which should cover it just fine. I like to share my plants with my neighbours if I can, this way we can both enjoy the flowers and benefit from a little additional shelter (not to mention privacy). 15 months later and the clematis have all established themselves and are providing the screen we were looking for. 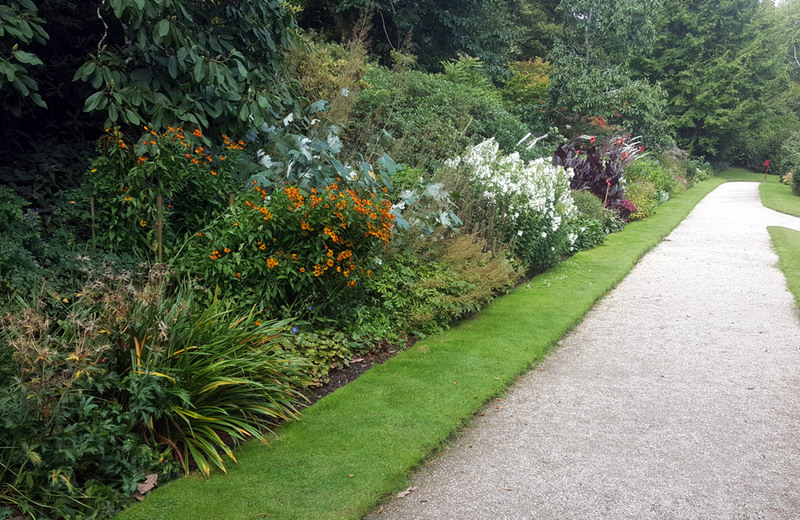 Just goes to show if you provide the right growing environment your plants should flourish. … and the most gorgeous flowers! If you’re thinking of planting a new beech hedge, or maybe Hornbeam I think you’ll find this post useful. I’ve planted several hedges over the years and learned some useful stuff along the way that will help you on your way to creating a lush new hedge. 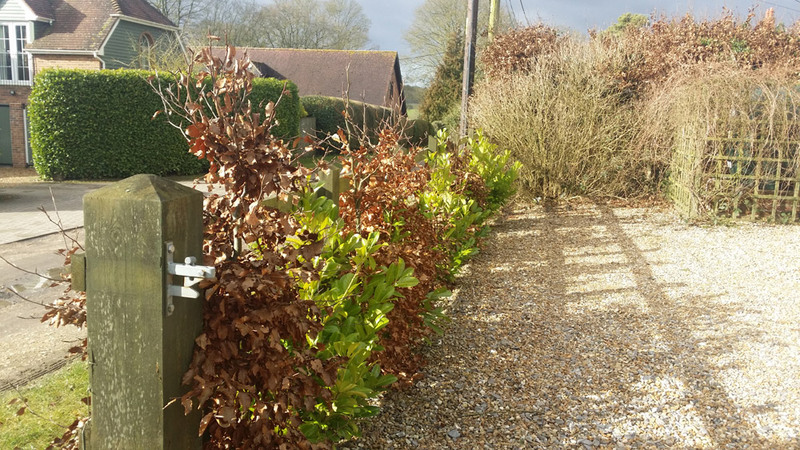 We’d originally planned to put up a post and rail fence at the front of the house, but even if we were to stain it green it wouldn’t be quite the same as an attractive beech hedge. We like to use Beech for our hedges, (more specifically Hornbeam) as the Spring growth is the most gorgeous vibrant green colour you can imagine and the birds just love it. 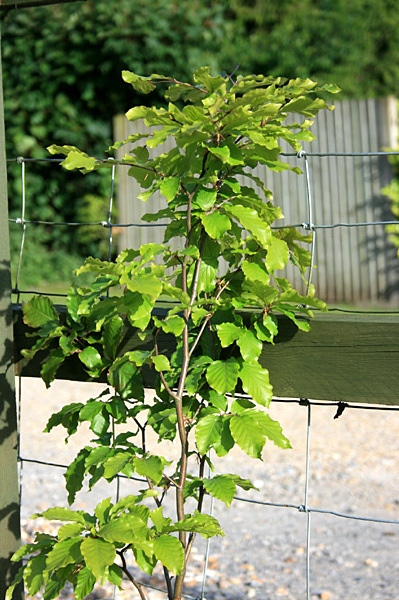 What should you consider when planting a new Beech hedge? 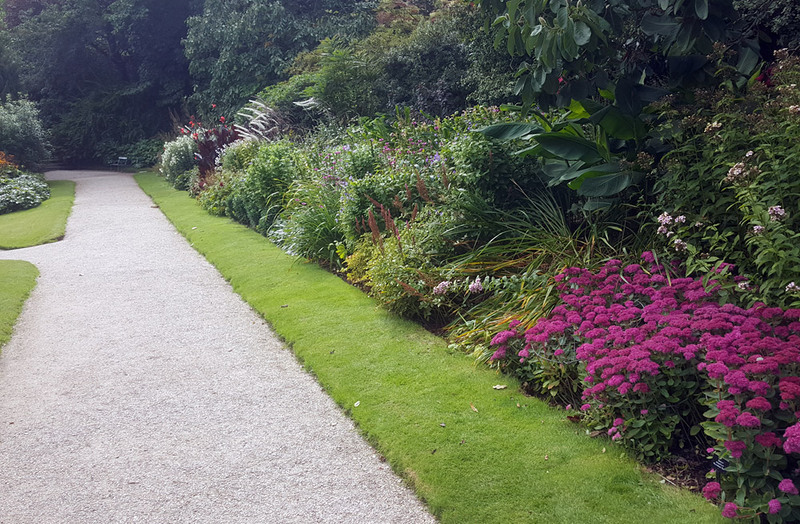 Planting a new hedge is pretty straight forward and your chances of a successful outcome are good, providing you follow a few basic principles. 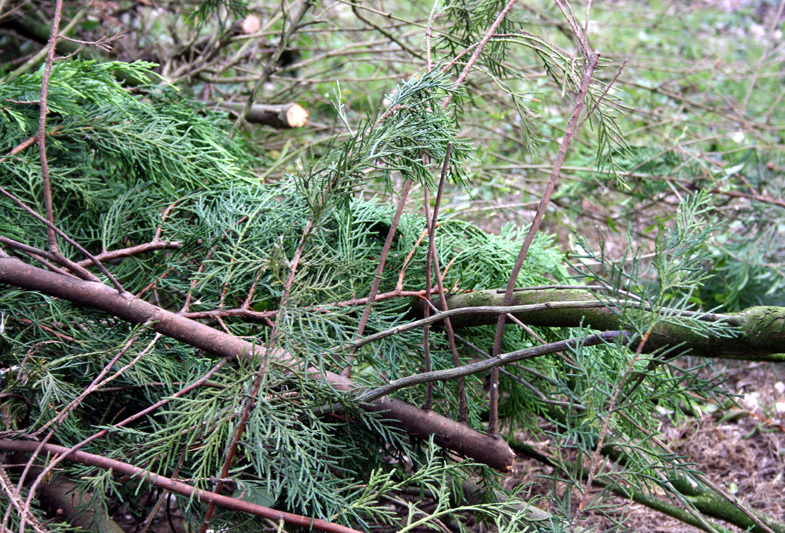 The method I use also also works really well with Laurel, Box, Hawthorn, and most deciduous and evergreen hedges. 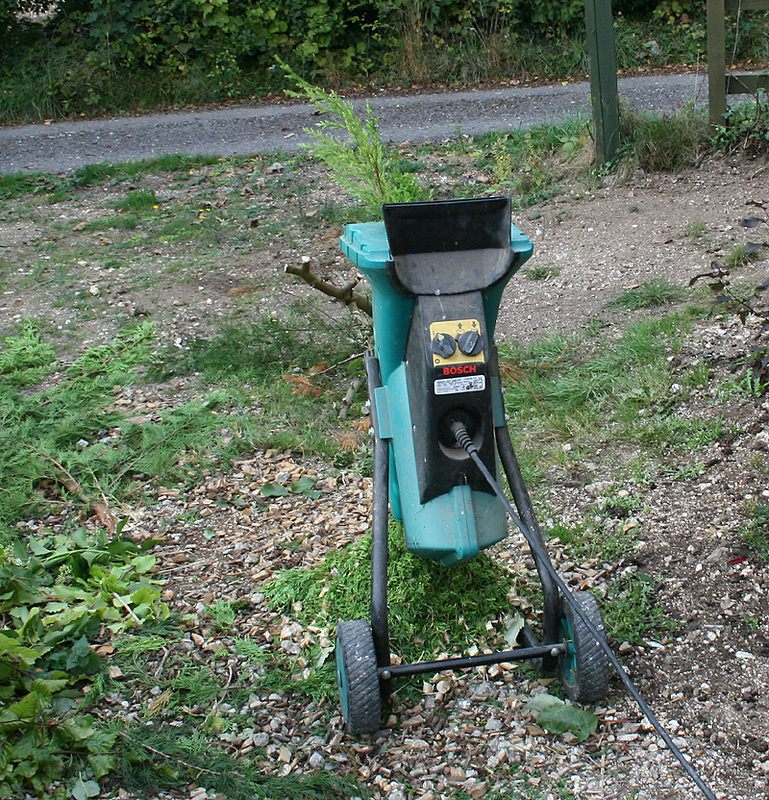 The most important thing is to prepare the ground really well before planting. Your hedge will be there for years to come so try to provide the best growing conditions to give it a fighting chance of surviving. Bare root saplings or plants? 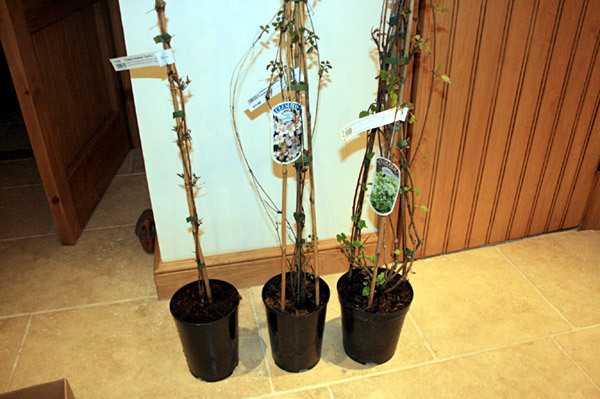 I prefer to buy bare rooted plants in winter when they are dormant and they tend to be cheaper. Keep an eye out for them at your local nursery and if you’re not ready to plant, buy them anyway and dig them in on a patch of redundant ground until the following Spring. Alternatively drop them in a bucket of water and leave them until you’re ready to plant, which is exactly what I did. 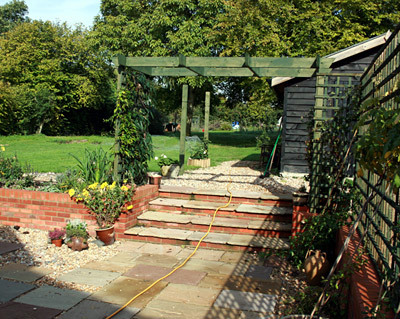 The first thing is to dig a nice big trench and fill with a good quality top soil and well rotted compost mix. 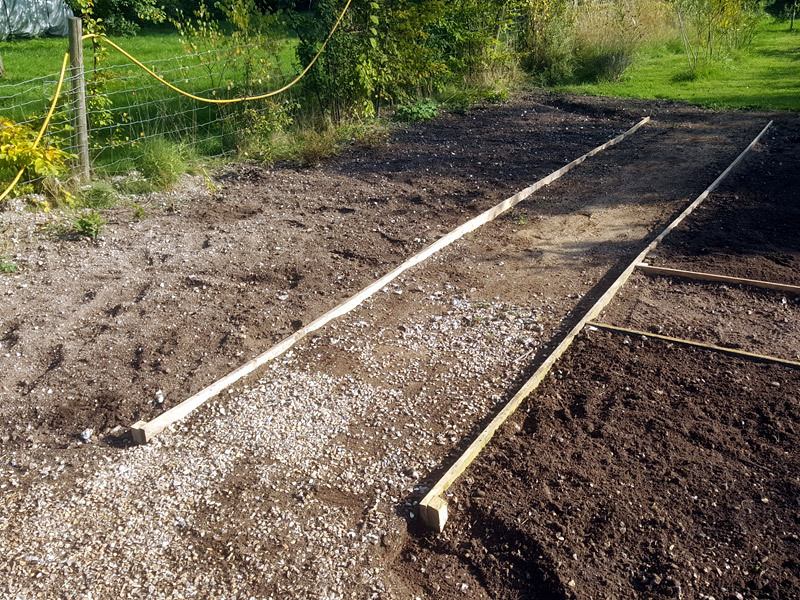 Your trench should be be a minimum 8 inches wide by 12 inches deep … and if you like to garden organically add a good handful of Fish Blood and Bone meal to the trench to encourage strong root development. 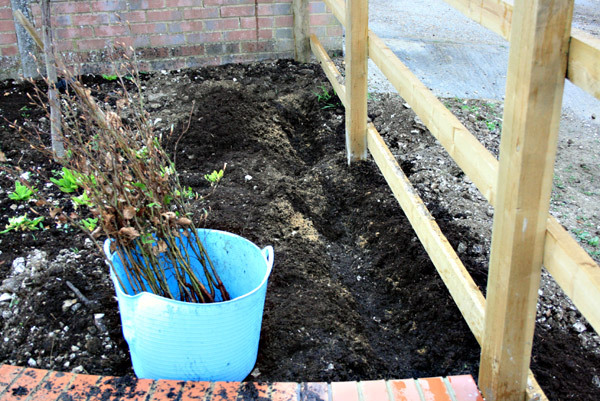 A useful tip is to give the bottom of the trench a good soak first to encourage the roots to spread out into your nice new compost mix. No special treatment when it comes to depth, just make sure the roots are well covered, or chances are they will dry out. Lay the bare rooted plant in the bottom of the trench spacing approximately 12 inches (30cm) apart and back fill with the compost mixture. Heal the plants nice and firm, but don’t ram the soil in or the roots won’t be able to breathe. 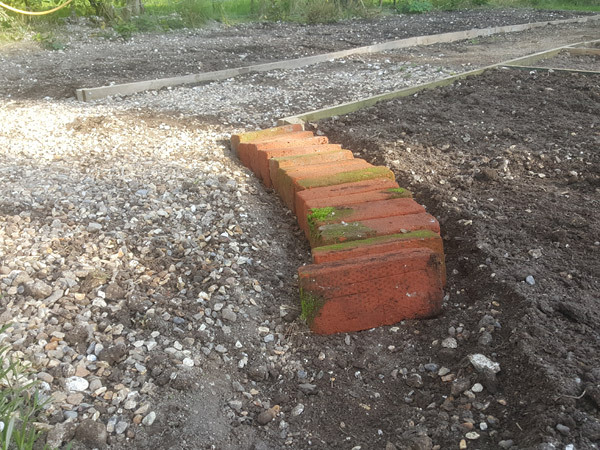 Finally, give them a really good soak … and fingers crossed they will get off to a good start and you can look forward to a lovely lush new hedge. 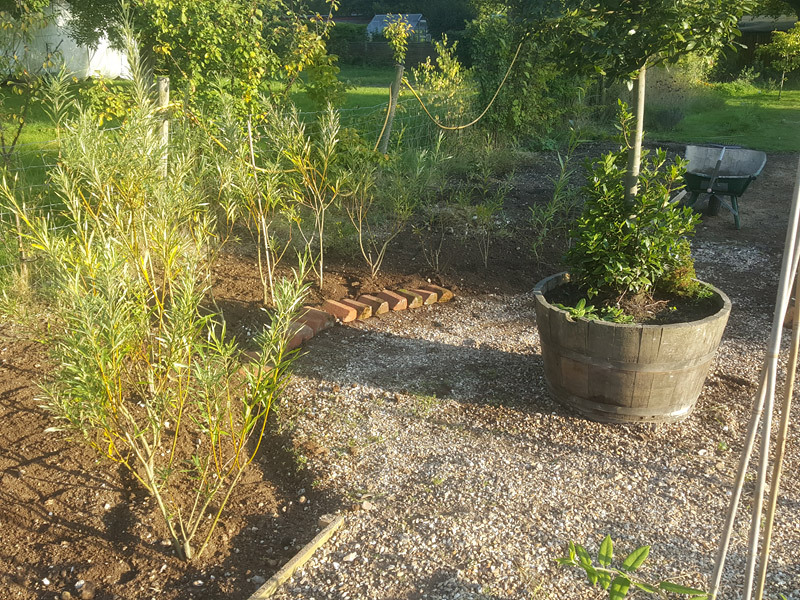 The first 2 years are the most important in the survival of a new hedge, so keep your plants really well watered during dry spells and they should grow away just fine. I took this picture earlier today March 1 2015 almost 5 years since the saplings were planted. 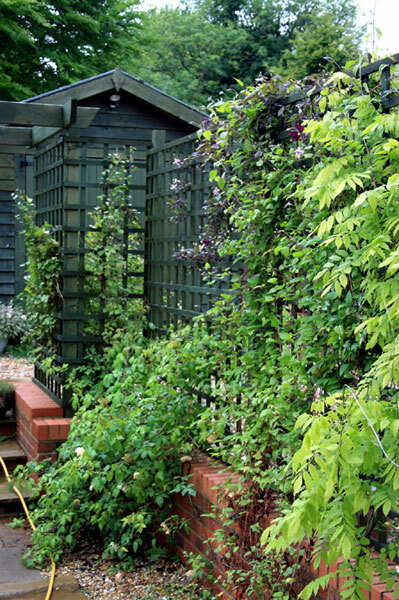 It might help you in making a decision whether to plant a beech hedge in your garden. I’m not sure I would do it again … I’d prefer hawthorn on reflection. Much faster growing and you get the most wonderful flowers in the Spring. There are more pics and advice here. Good luck with your hedge!